The new Halo Finish, just in from Europe, is so gorgeous! The color that spoke to me the most is Ethereal Myrrh. I love it’s versatility… it can look just as great in winter as in summer, dressed up or dressed down. 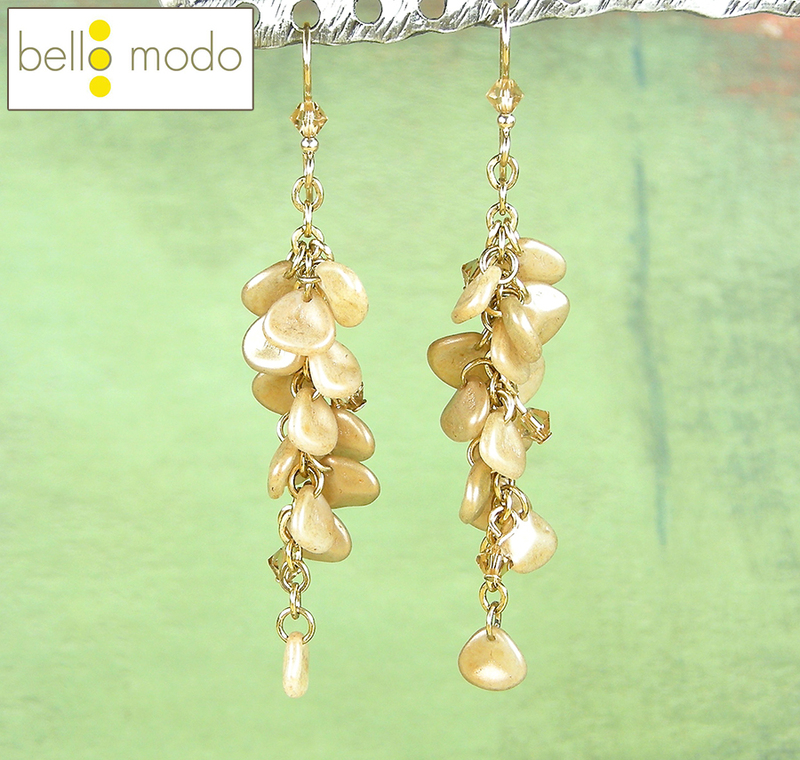 Here is a simple, yet elegant, pair of cluster earrings featuring the small rose petals. Cut the chain in two, so that you have 2 x two inch pieces. Add the earwire to one end of the chain, repeat for the other piece. Starting on the third link down of chain, add the jump-ring to the rose petal and add to the chain. Repeat on every link (with a couple containing two per link) until you have a cluster of 13 petals. Leave five links empty at the bottom. Then add a jump-ring with a rose petal to the very end of the chain. Repeat for the other pair of earrings. Make six simple loops using the head pins and the crystals. Add the crystals to the earrings, three per pair, with one at the top, middle and bottom of the clusters.